Police in eastern Germany halted an anti-migration protest march Saturday that emboldened far-right activists started, hoping to launch a nationwide movement capable of challenging the political establishment. Police in eastern Germany have halted an anti-migration protest march that emboldened far-right activists started, hoping to launch a nationwide movement capable of challenging the political establishment. 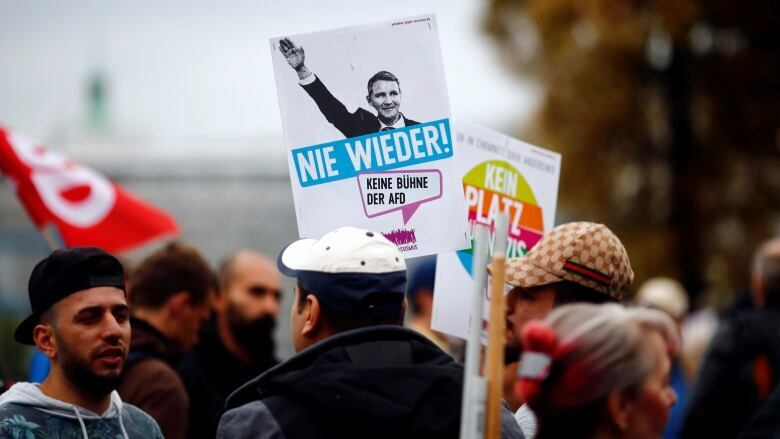 A trio of nationalist groups held separate daytime rallies Saturday in the city of Chemnitz over the recent killing of a German citizen, allegedly by migrants from Syria and Iraq. The two largest groups also organized a joint nighttime march, thinking a broader force might emerge from the display of unity and take hold. If the number of people who attended is any gauge, the envisioned far-right movement was in the earliest of embryonic stages. It drew about 4,500 participants, Saxony state police reported, before citing security concerns as the reason for ending the event early. The demonstrators screamed and whistled angrily as officers broke up the protest. The march was stopped several times along the way as counter-protesters blocked the route. Police officers deployed to keep the two sides apart flooded into the street. The counter-protesters numbered about 4,000, according to state police. 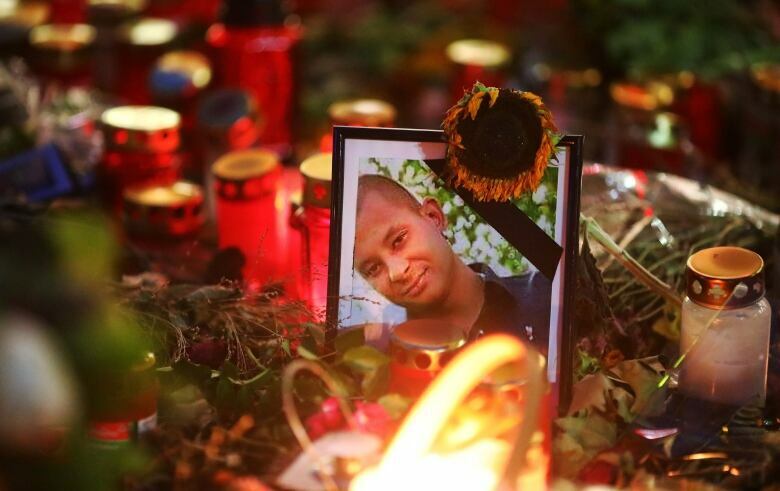 The opposing camps also clashed in Chemnitz on Monday, the day after the fatal stabbing of the 35-year-old German citizen and the arrests of the migrants on suspicion of manslaughter. Scenes of vigilantes chasing foreigners in the city's streets have shocked people in other parts of Germany since then. Leaders of the two groups that combined forces on Saturday night cultivated a different image for the "mourning march" by wearing dark suits and carrying white roses. The event brought together previously isolated clusters of nationalists — from lawmakers to Hitler-saluting skinheads. However, the mood darkened as the sun set. People from both ends of the political spectrum could be seen drinking beer and shouting slurs at police. The tension in the air reflected the polarization over Germany's ongoing effort to come to terms with an influx of more than one million refugees and migrants seeking jobs since 2015. The right blames multiple problems on Chancellor Angela Merkel's decision to allow in hundreds of thousands of asylum-seekers from war-torn countries like Syria, Iraq and Afghanistan. 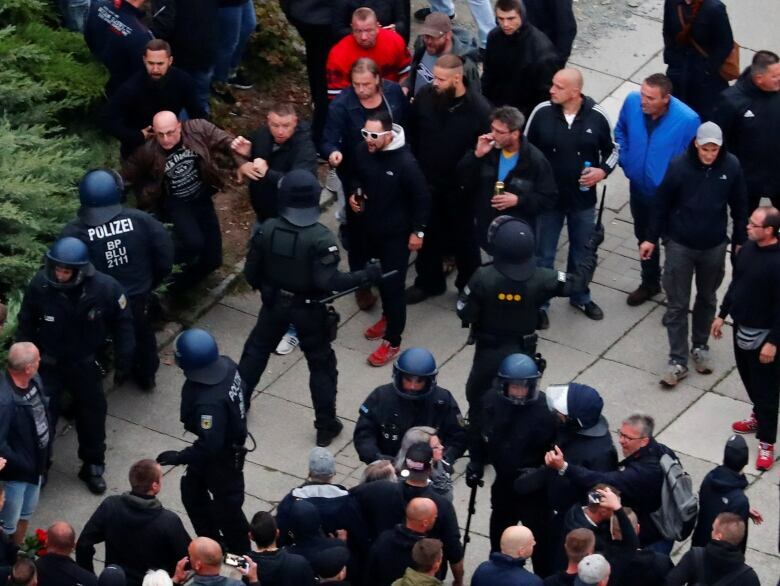 Some far-right supporters argued before the killing in Chemnitz that migrants are responsible for an increase in serious crimes, especially attacks on women. The anti-migrant sentiment has been particularly strong in Saxony state, where a traditional stronghold of groups sought to inspire a nationwide movement on Saturday night: the Patriotic Europeans Against the Islamization of the West, or PEGIDA, and the far-right Alternative for Germany party, which has won seats in federal and state parliaments with an anti-Muslim platform. 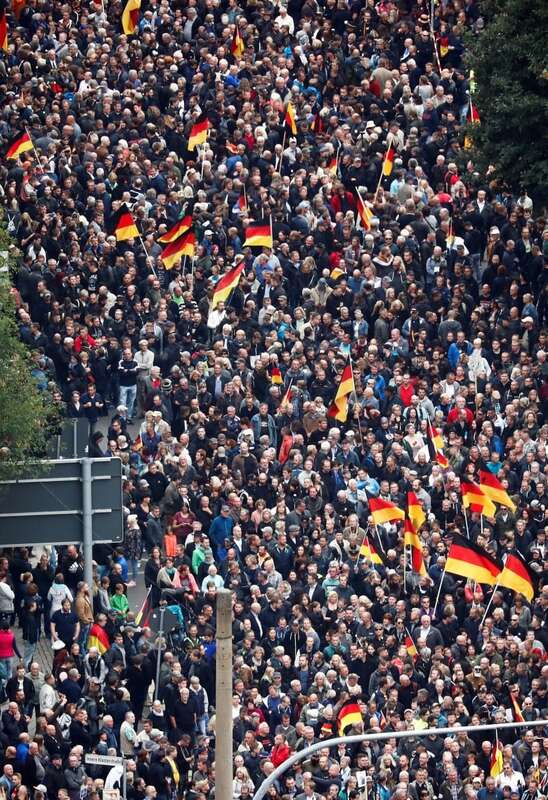 While the share of foreigners residing in Saxony remains below Germany's national average and displays of Nazi symbols are outlawed across the shame-marked country, far-right sympathizers mobilized with exceptional speed on the night of the Chemnitz death and the days after. The victim in the fatal stabbing last Sunday morning was 35-year-old Daniel Hillig. A 22-year-old Iraqi and a 23-year-old Syrian have been arrested on suspicion of manslaughter. "We need a strong state and we have to do everything politically to overcome the polarization and division of our society," Seehofer said. While anti-migrant protests took place in Germany before, especially during the early 1990s, a strong and vocal opposition usually was there to provide a counter-force. Artists organized concerts to raise awareness, and ordinary citizens lined up in kilometres-long human chains to protest violence against newcomers. "I've a lot of experience with far-right protests in Chemnitz," said Tim Detzner, a member of the Left Party in the city, noting that the street riots this week "reached a level of aggression, brutality and willingness to use violence that we haven't known before."